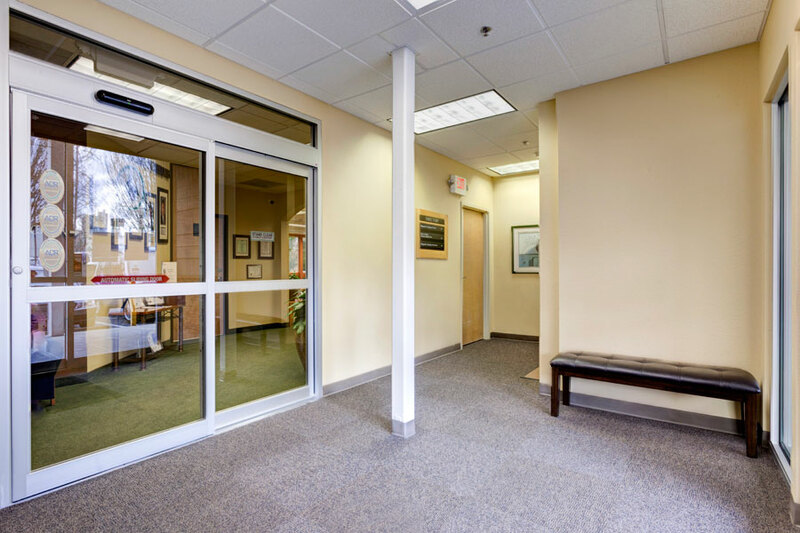 This almost 6,000 square foot clinic occupies the second floor of an already existing building. 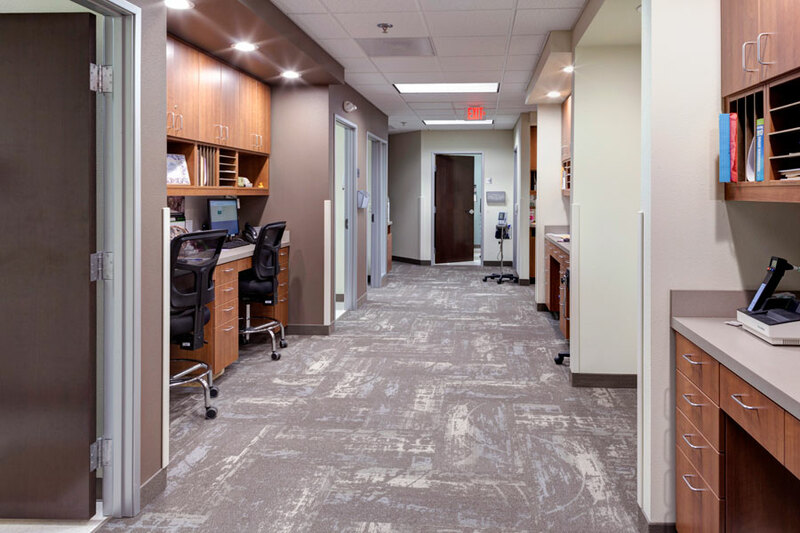 The project consisted of a complete remodel on the existing 2nd floor to incorporate 18 exam rooms and one large exam room in addition to laboratory, technical, and offices spaces. 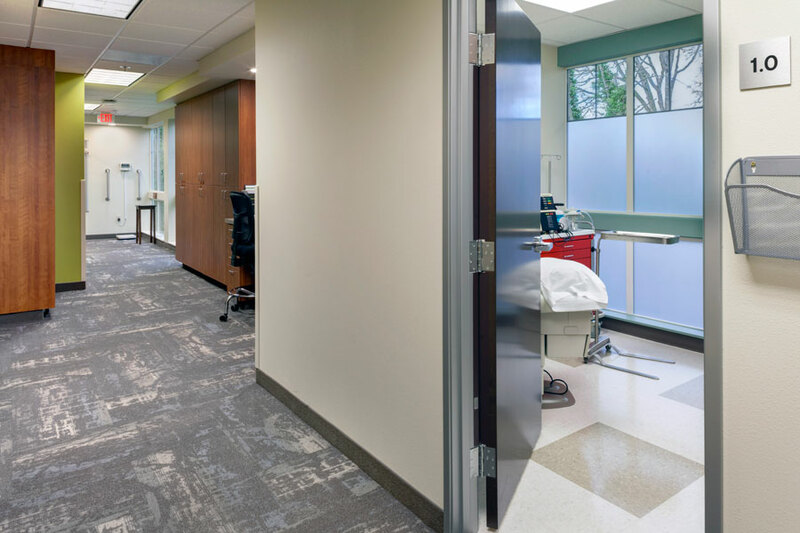 Various space planning options went into the schematic design phase to determine the most opportune way to utilize the existing space while directing patient flow. 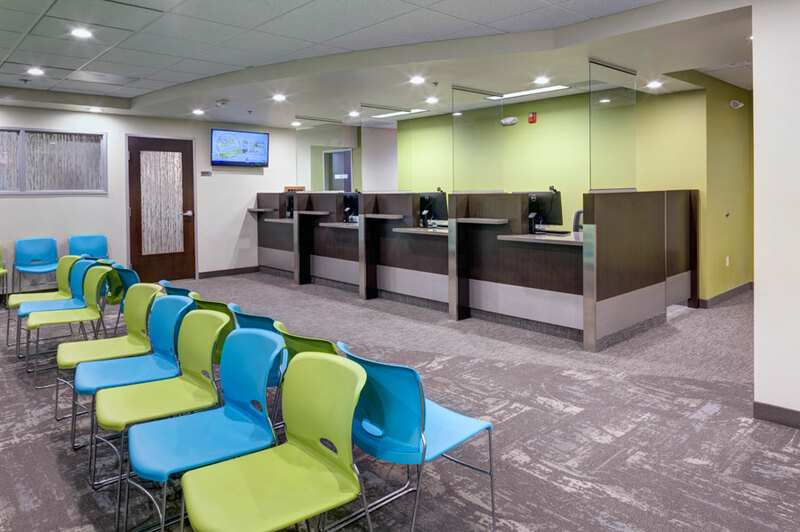 The project was designed to provide flexibility and versatility in accommodating up to 7 providers and two specialists. 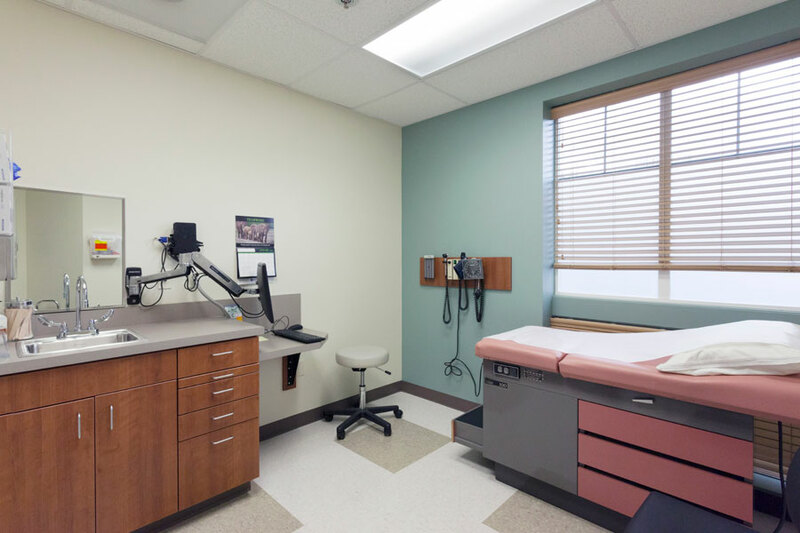 Ceilings are differentiated throughout to highlight specific staff and patient spaces. 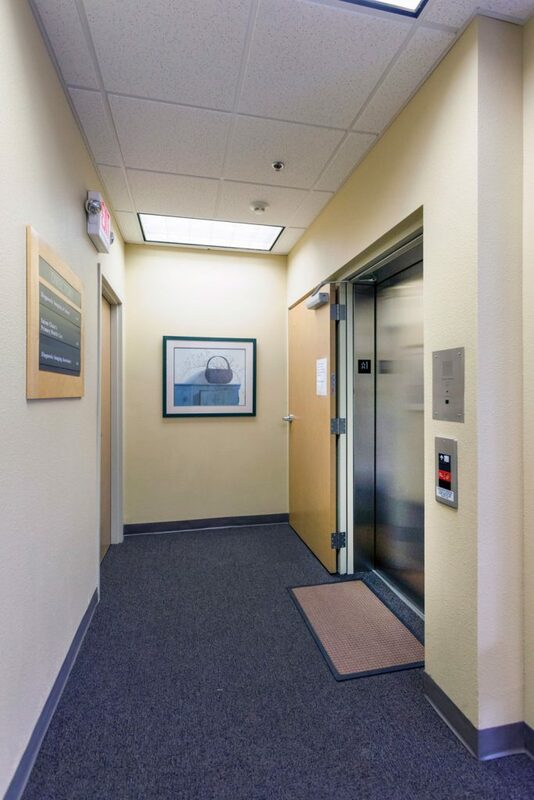 The interior consists of earth tones with a modern yet calming atmosphere. The project was completed in November 2016.